Stop over in Terceira for 7hrs...what is around the airport? I have a very long stop over in Terceira and was wondering if there are any shops or malls near the airport that I can kill some time? I recommend going to Praia da Vitoria. 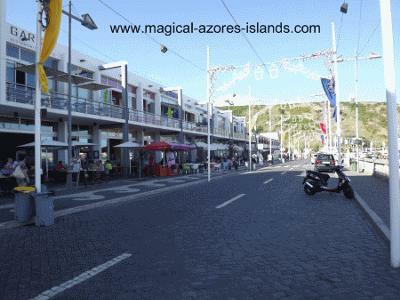 It's a 5 minute cab ride to this lovely town (the next one to Lajes where you will be). There are many shops to check out and it has a seaside resort feel to it. I haven't found the right words to describe Praia da Vitoria yet, but it's like being in a European version of any United States' beach town. It's bright and cheery with lots of shops and a nice beach.